Everyday carry: that's, like, the wallet and keys that you shove in your pocket on your way out the door, right? Yes... and no. Sure, your everyday carry (EDC) rotation will include your wallet and keys, but it has the potential to be so much more: a vehicle of personal expression, an art form, a tool to daily sharpen thoughtfulness. Unsurprisingly, EDC is a Thing on the Internet now, especially on social media—as of the time of this writing, the #everydaycarry hash tag has over 2 million photos associated with it on Instagram. A niche with roots in the military and law enforcement community has truly bloomed into a universal pastime. Looking to refine your EDC game? I've shaken out hundreds of "pocket dumps" to uncover their most common elements. Let's take a look! Here's the thing about deciding what to carry with you every day: they're your pockets, it's your stuff, it's ultimately your decision. So, why would I take the time to tell you what everyone else is carrying with them? Car, house, mailbox, you name it: carrying keys means carrying trust. 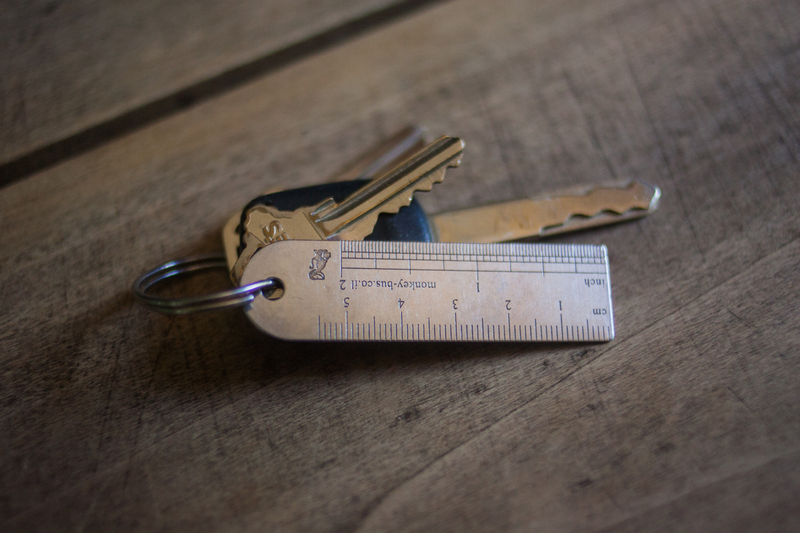 How you contain your keys is a matter of preference: for about 20 years I carried my keys on a key ring attached to a belt loop carabiner, but finally switched to a simple pocket carry because I wanted to class up my style a bit and I realized the constant jingling had actually been driving me crazy for a while. Whether you swear by cash or you deliberately never keep any on you, you've got to have a designated place for your money. It also makes sense to keep your money with your ID, and the wallet is still the most common vehicle. Leather is my great choice for durability, but I've also seen quite a few using other materials like Teflon and stainless steel, as well as a lot of people dispensing with the wallet altogether and opting for a money clip. I applaud the man or woman who has managed to make it to the second decade of this millennium without some kind of mobile phone, because it means he or she has managed to creatively juggle the balls of communication, management, navigation, and research without a ubiquitous, powerful tool. (To my applause, I would also add a resounding why go through all that trouble?) For the rest of us, the smartphone is a crucial EDC element. When you're talking everyday carry, a knife is indispensable. In most EDC pocket dumps, I see multitools, folding knives, or both. I used to carry the Leatherman Skeletool, which is a fantastic minimal multitool, but I eventually tired of having a knife with a large profile and after a few years, I realized I never really used the pliers or screwdrivers. 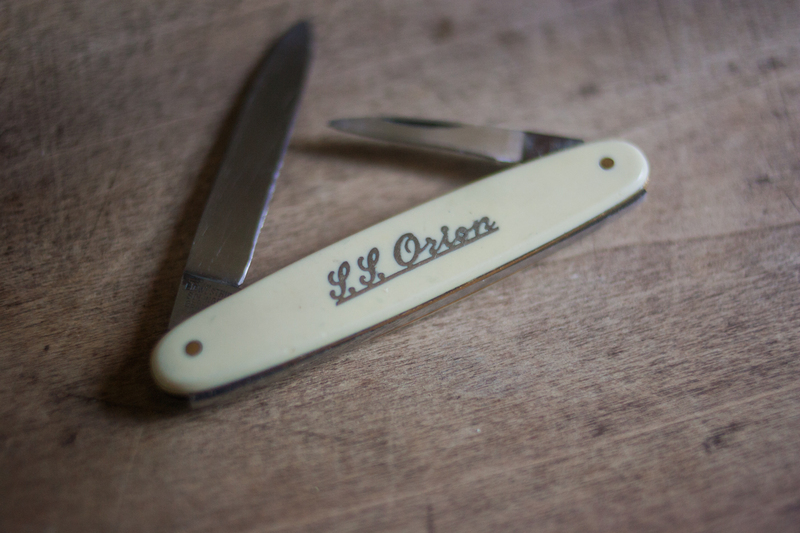 Instead, I find that I use a small pocketknife all the time—this is a vintage one with Wüsthof blade from the RMS Orion, which I bought from a vintage seller at a craft market in Durham, NC a few years back. It's so small that I can also carry it not only in jeans, but also in the pocket of dress pants on Sundays. Sure, you can check the time on your phone. But for ease of use, nothing beats a quick glance your wrist, allowing you to avoid fishing your phone out of your pocket as well as potentially looking rude. Plus, you can use an analog watch as a makeshift compass if you're lost, which can mean the difference between life and death. That's just too cool for school. A flashlight isn't just for the junk drawer or power outages! A small flashlight is the item I never thought of carryting until I started circling EDC posts. As everydaycarry.com's Bernard Capulong writes, "You would bring an umbrella for a 50% chance of rain, so why wouldn't you bring a flashlight for 100% chance of darkness every night?" 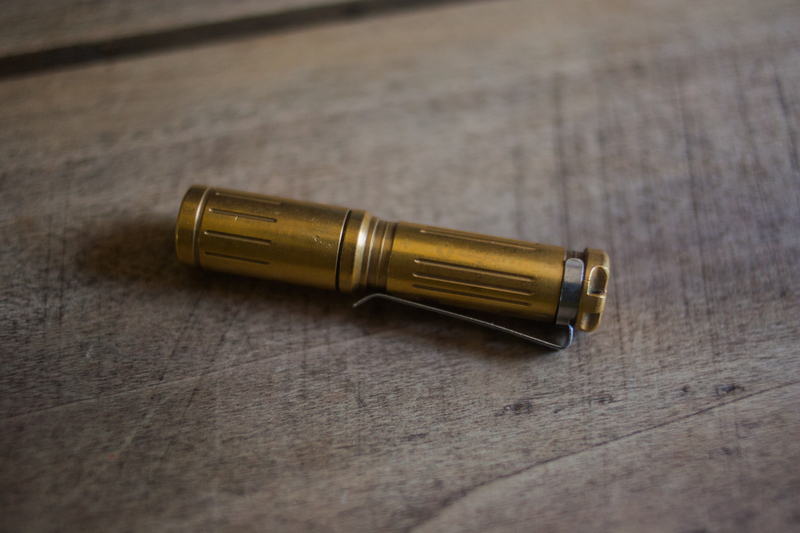 They're good for personal safety, and I've also used my inexpensive pocket flashlight from Olight quite a lot during the day as well, especially to check under the seat for belongings at movie theaters and restaurants. You'll see this pop up a lot on EDC posts. Not only does this allow you to avoid the whole explorer-lost-in-the-wilderness chapped lips look, but it also has a surprising amount of survival uses. Even if you're like me and you use productivity apps like Google Keep and Evernote, an analog notebook is a powerful tool to supplement or even supplant your notetaking. Not only does manual writing have a different feel from typing, it's also not dependent on battery life, and can get wet (especially if you use a waterproof notebook like the Rite-in-the-Rain brand). I mostly see ballpoint pens with EDC enthusiasts, but I'm a really big fan of pencils, so I opt for the wood variety. 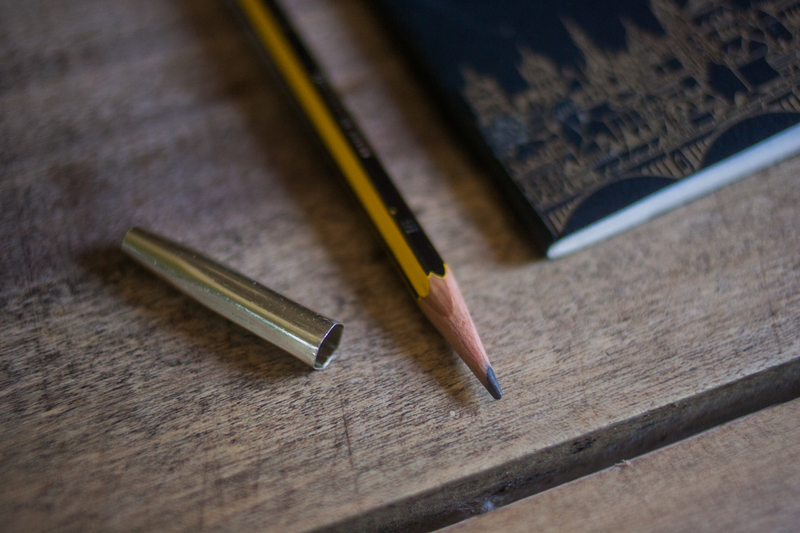 If you're going this route, invest in a handful of inexpensive pencil caps to avoid breaking your fresh points, stabbing your leg, or smearing graphite all over the inside of your pocket. In these photos, I'm using an unlined Moleskine cahier with the Edinburgh skyline letterpressed by a Scottish artist at a craft market, with the iconic German Staedtler Noris pencil. Need a primer on wood pencils? We've got a guide here! I don't actually see this a whole lot on EDC posts, but I consider a handkerchief to be an everyday carry item of utmost importance. Not only is it a great tool for Chronic Sufferers of Allergic Rhinitis, of which I'm currently the president of the North Carolina chapter, but it's also got plenty of other uses unrelated to snot. Check out our guide for more ideas, and if you've got an old shirt sitting around, go full-on DIY and make your own handkerchiefs. The main question you have to ask yourself when putting together is "What do I want to be prepared for?" Thinking ahead is never a bad exercise, and no one ever suffered from being too thoughtful. The good thing about your EDC rotation is that it's in a constant state of flux as your life develops, so you'll find yourself adding and removing items, as well as replacing and upgrading them. For further reading, check out the awesome work at everydaycarry.com, starting with their in-depth beginner's guide and moving on to their Carry Smarter series. What do you include in your EDC? Leave your comment below! wallet (leather w/cash, CC debit), key(s), pocket knife (Gerber paraframe), smartphone (iPhone 7s), watch (Casio with rubber strap), reading glasses, handkerchief (fellow allergy sufferer). Haven't yet started carrying a flashlight but i like the suggestion you made. 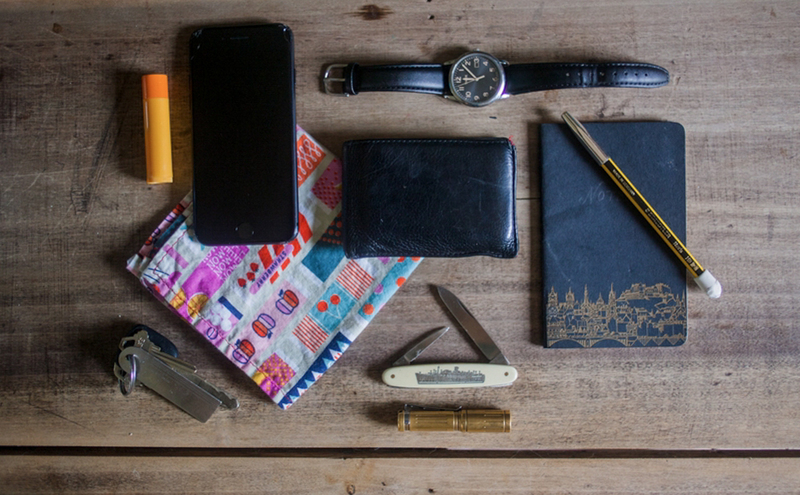 Most often: notebook+pencil or pen, tuning fork, bike tool, spare tube, pump.